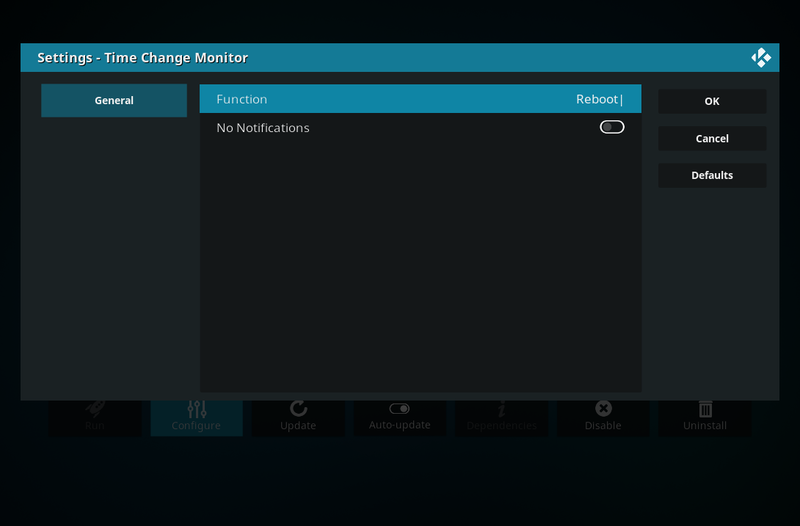 Here is quick add-on I created to monitor for a Time Change in KODI. 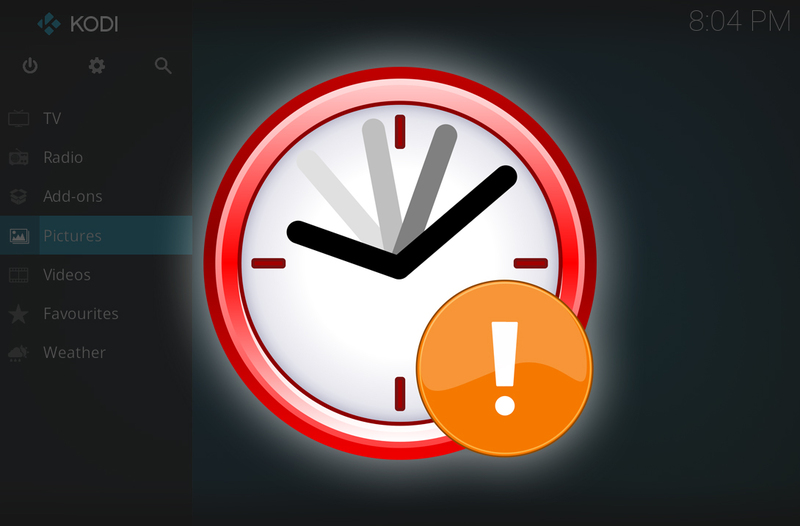 The most common use case is for timezones that change during the year (eg. Daylight Savings). 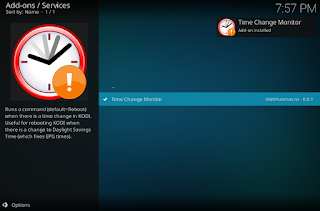 When the time changes, the EPG times become in-correct in KODI. The only way to fix this is by either clearing the guide data, or restarting KODI. This add-on will poll for a time change every 60 seconds. If it finds a time change, it will run the defined function. It cannot detect the difference between a manual or automatic change. If you have the service running and manually change your timezone - it will still run. It should be compatible with all devices. 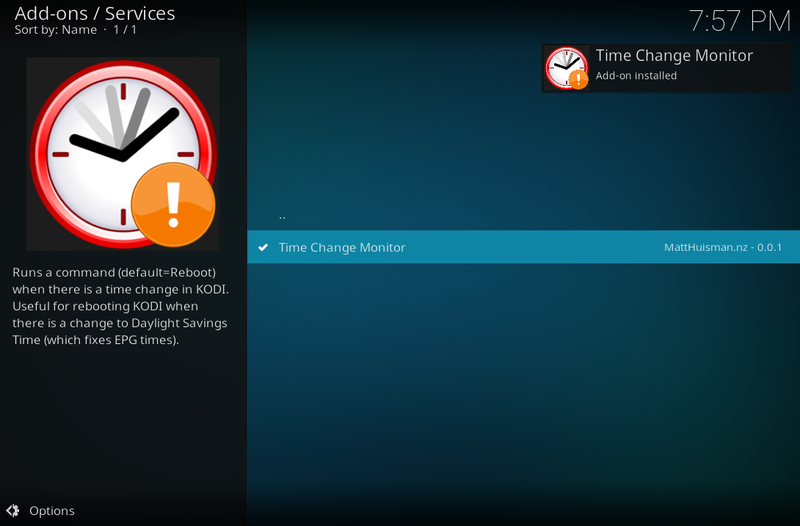 Select "Services" then "Time Change Monitor"
Now select "Install" and the add-on will download and install. It will automatically start running when it is installed. The add-on can be found under My Add-ons -> Services. Here you can disable it, uninstall it or change the settings (as below). 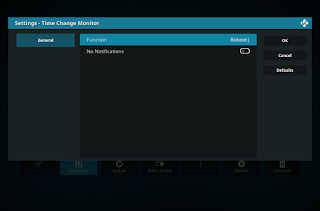 "No Notifications" when enabled simply hides the pop-up dialog when the function is run.